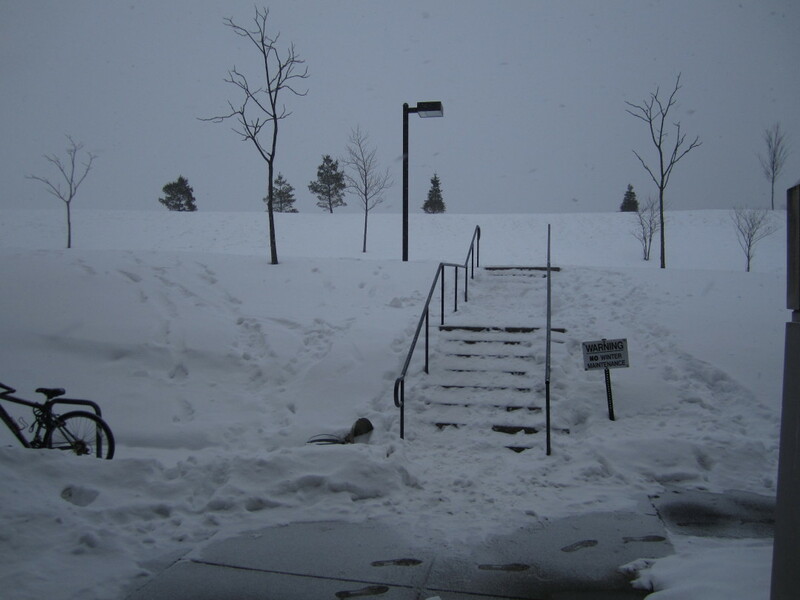 It has been a good first two weeks back on the snowy hill. I selected some photos to share here. 1. After just stepping outside the east door of Mews Hall. 2. 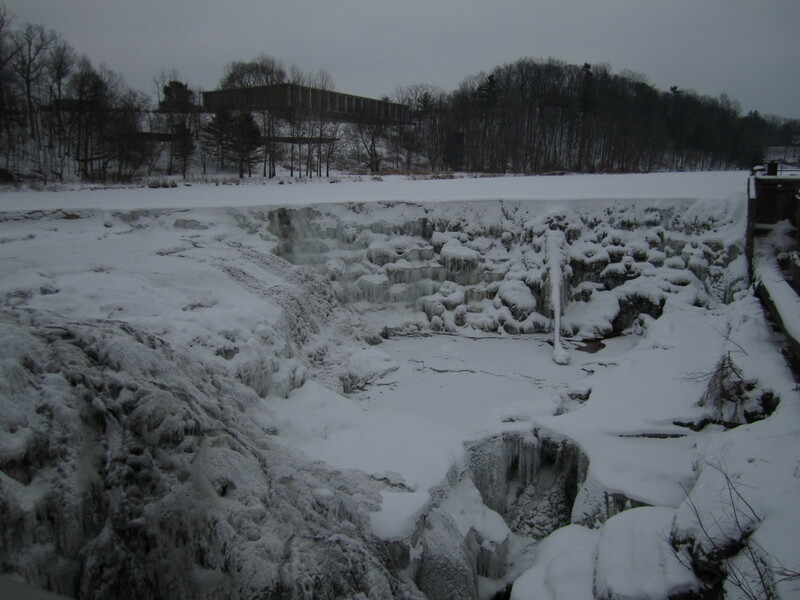 A frozen Beebe Lake and waterfall, shot from the footbridge. 3. 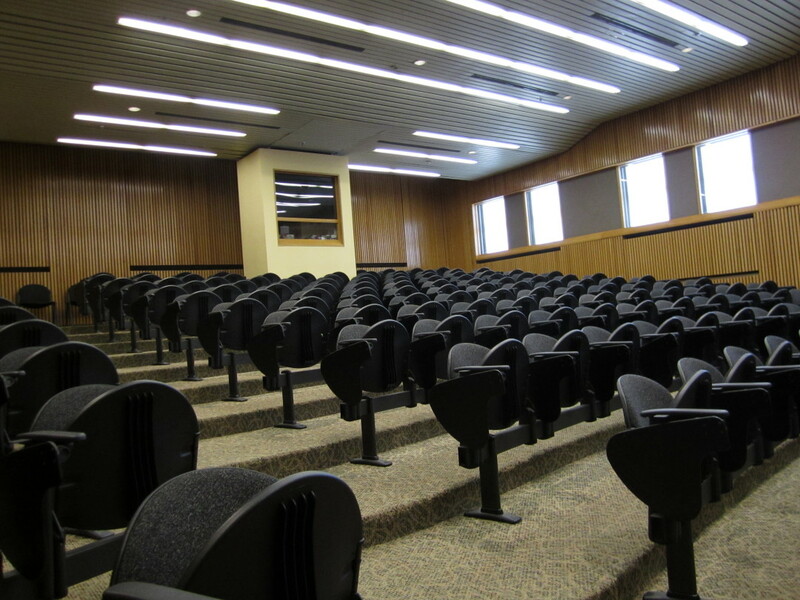 A generic-looking lecture hall. The room is Goldwin Smith 132, where my Econ 3020 class is located. 4. 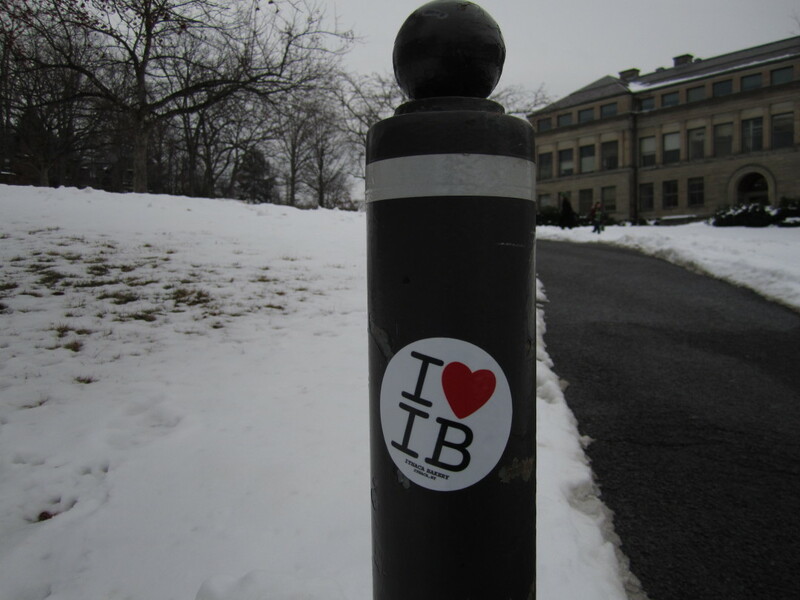 An “I ♥ IB” sticker on a post in the southeast corner of the Arts Quad. 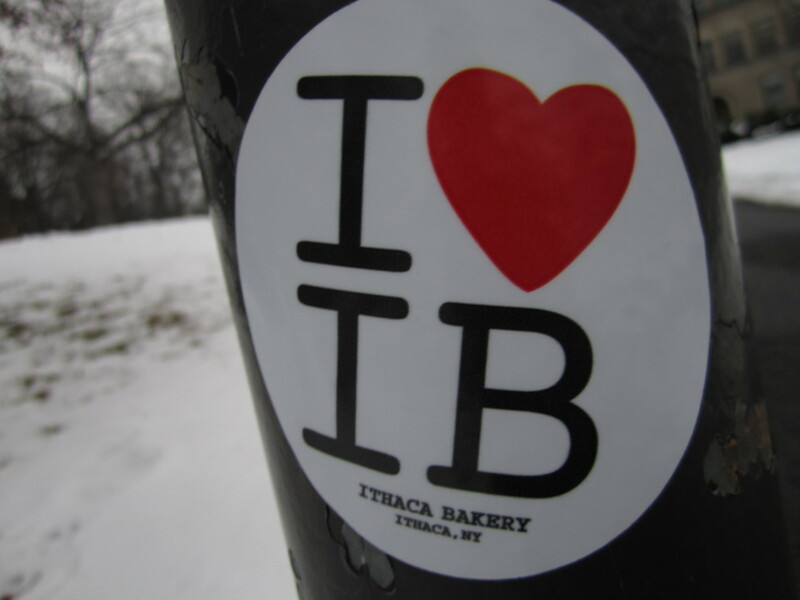 Funny because I thought it meant International Baccalaureate at first. 5. A closeup of the sticker reveals its true identity. 6. 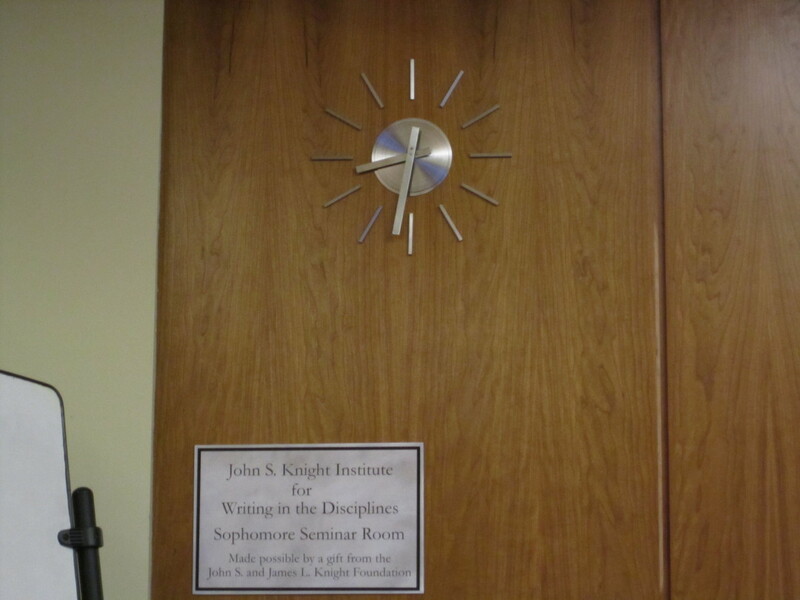 A nice-looking (and postmodern) clock in Alice Cook 106, where my Phil 1112 class is located. 7. 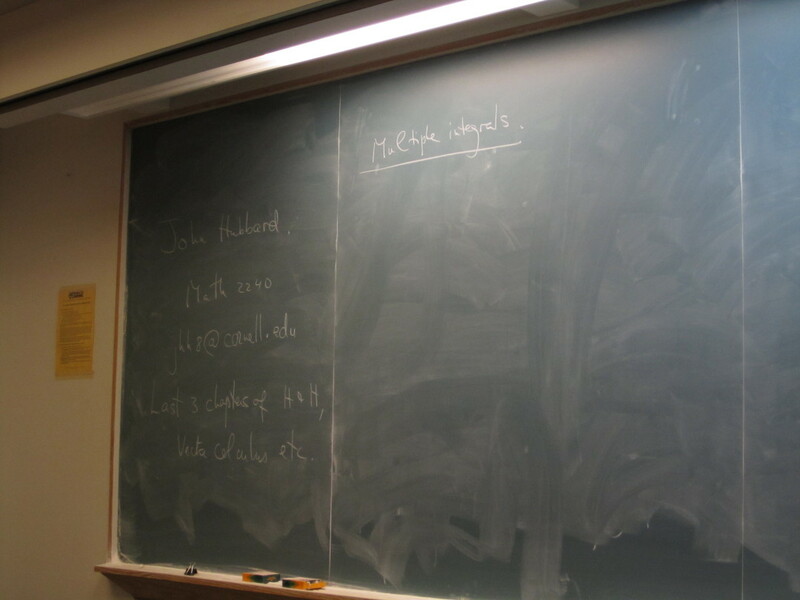 The very first thing math professor John Hubbard writes on the blackboard after introductions is “Multiple Integrals.” Math 2240 will be fun! 8. Last picture, demonstrating how fun math can be! 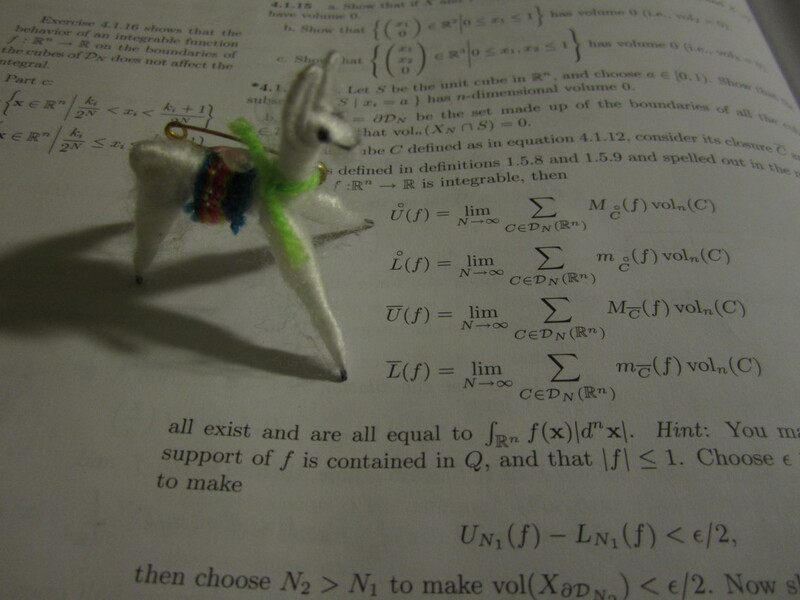 Alright, I still think linguistics is more fun.